We are honoured to have been nominated the lead community for the B&NES Sugar Smart Campaign! 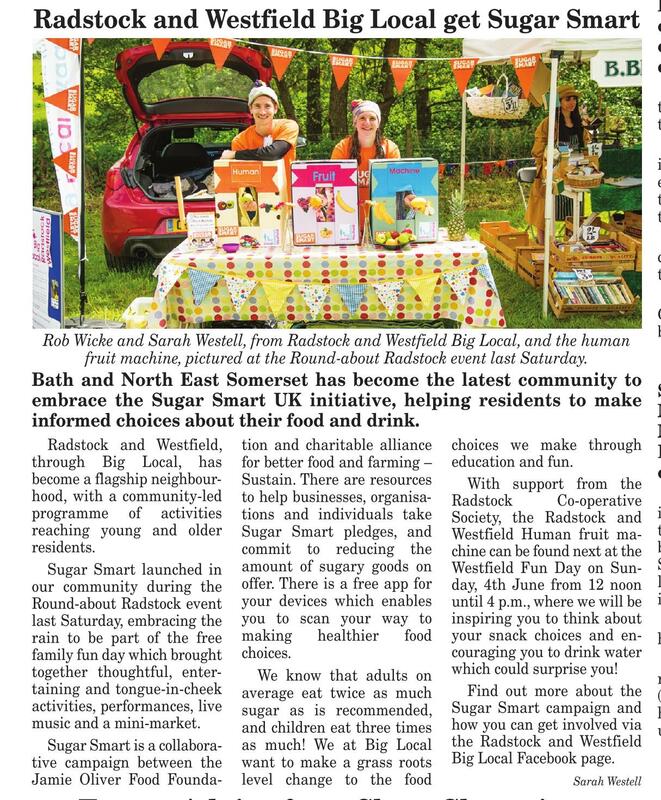 We launched it in Radstock at the Roundabout Radstock event and will be working with Virgin Care and B&NES to promote sugar awareness in the community. And download the app on your phone to find out how many sugar cubes are in your food. This entry was posted in Blog, Community Events, Life Long Learning, News, People, Sugar Smart. Bookmark the permalink. ← Big Local Dragons’ Den Wins Again!